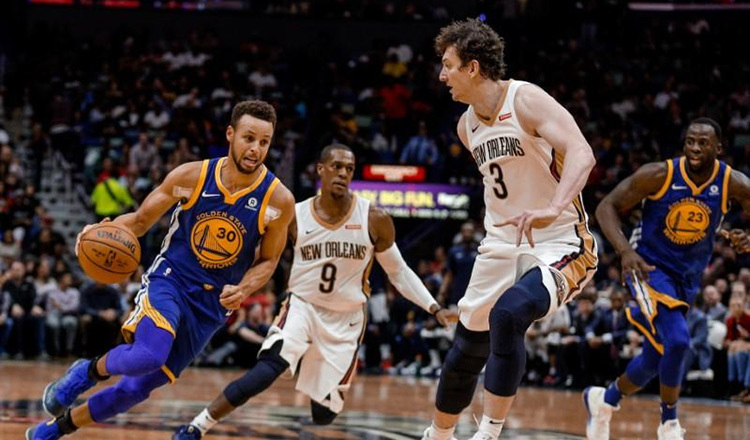 LOS ANGELES (Reuters) – Seven different players contributed points to a 24-7 Golden State run that ended the first half, and the Warriors broke from a second-quarter tie to pound the host Phoenix Suns 132-109 on Monday night. 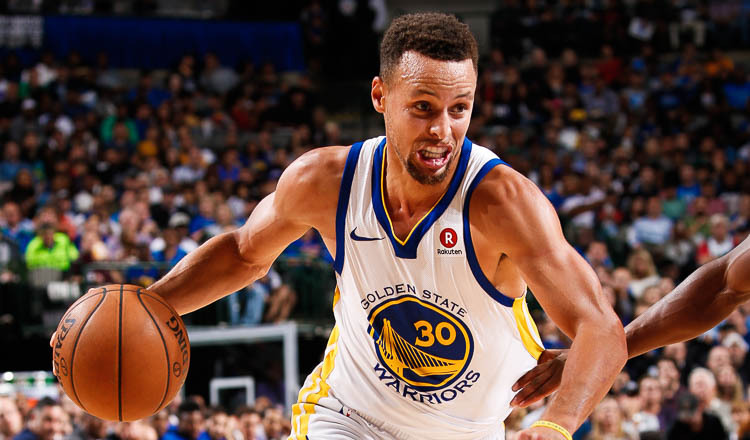 Stephen Curry poured in 34 points and Kevin Durant added 25 as the Warriors beat the Suns for the 17th consecutive time, including eight straight in Phoenix. The Suns played the Warriors even for almost 19 minutes before Curry (six points), Andre Iguodala (five), Durant (four), Jonas Jerebko (three), Shaun Livingston (two), Quinn Cook (two) and Jordan Bell (two) all scored in the final 5:06 of the second period to help Golden State open a 69-52 halftime advantage. A last-second 3-pointer by Cook put the Warriors up 108-87 entering the fourth period. 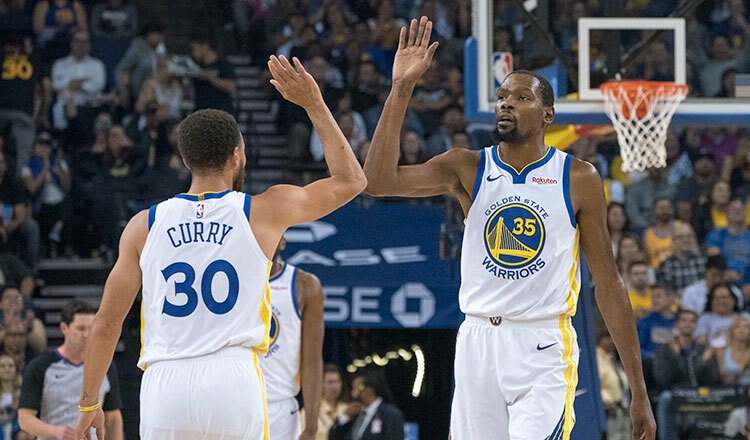 Curry shot 5-for-9 on 3-point attempts and Durant went 3-for-4, helping the Warriors outscore the Suns 42-27 from beyond the arc. Golden State also outshot Phoenix overall, 54.8 percent to 43.5 percent. Klay Thompson added 15 points, while Livingston and Bell had 10 apiece for the Warriors, who won their second in a row after two consecutive losses. Ayton’s double-double was his 23rd of the season. He made nine of his 17 shots. T.J. Warren had 24 points, Devin Booker 20 and Kelly Oubre Jr. 15 for the Suns. Phoenix opens the 2019 portion of its schedule against the Philadelphia 76ers today. The Warriors play host to the Houston Rockets tomorrow. In the first rematch this season of last season’s Western Conference finalists, Houston earned a 107-86 home win on November 15.